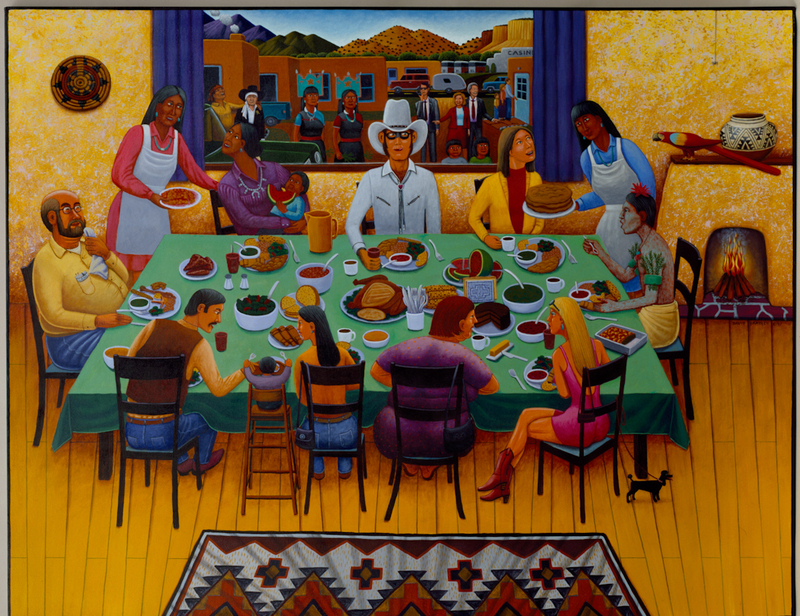 On Feast Days, Southwestern Pueblo communities honor Christian saints-adopted during Colonial conquest-and also perform dances to maintain harmony with the spirit and natural worlds. Sometimes, the public is invited to share food. 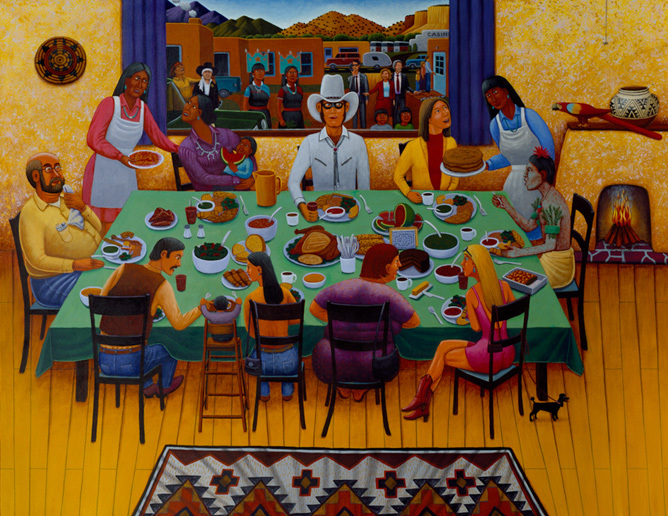 In this satirical vision, David Bradley imagines Bill and Hillary Clinton, artist Georgia O'Keeffe, and Tonto (Lone Ranger's sidekick) at the Feast table. Kramer, Karen. 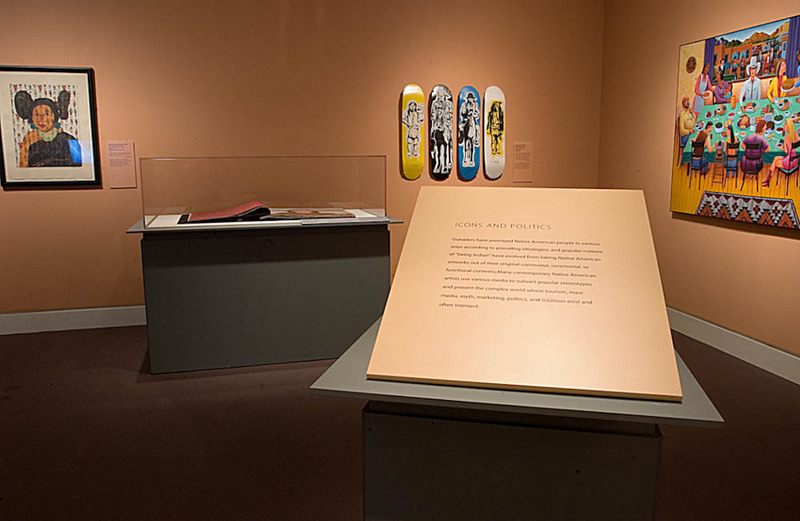 "Intersections: Native American Art in a New Light." 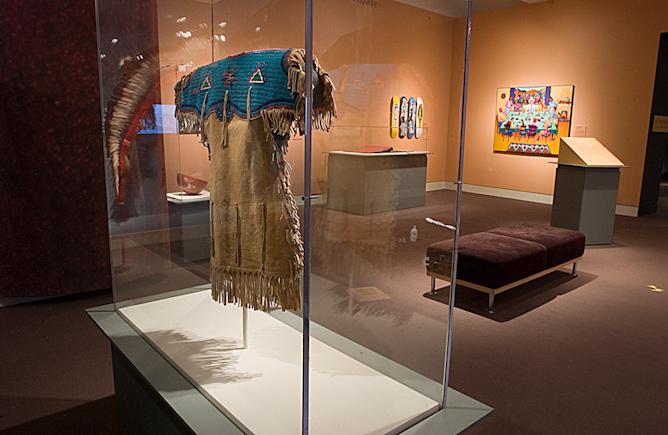 American Indian Art Magazine. (Autumn 2007):74-83. Kramer, Karen. "Intersections: Native American Art in a New Light." Antiques & Fine Art Magazine (summer/autumn 2006):164-168. Artist's description of the work, October 17, 2002. Artist's description of the work, April 5, 2001.